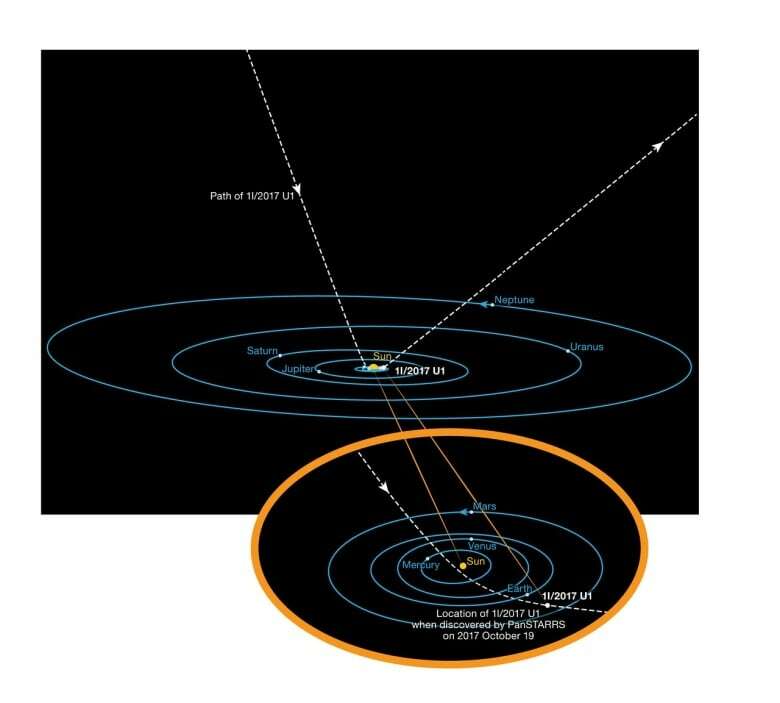 'Oumuamua is the first interstellar object observed in our solar system. Breakthrough Listen is testing it for signs of alien life. This week, Breakthrough Listen, a $100 million program funded by Russian tech billionaire, Yuri Milner, and backed by some of the world's top astrophysicists, started investigating a giant cigar-shaped space object for signs of alien technology. How do they know whether the first interstellar object ever spotted in our solar system is a rock or a alien space probe? As Avi Loeb, chair of Harvard's astronomy department and advisor to Milner tells Day 6 host Brent Bambury, you listen to it. "We've never seen such an object within the solar system. So that led me to wonder if it could be artificial in origin," Loeb says. 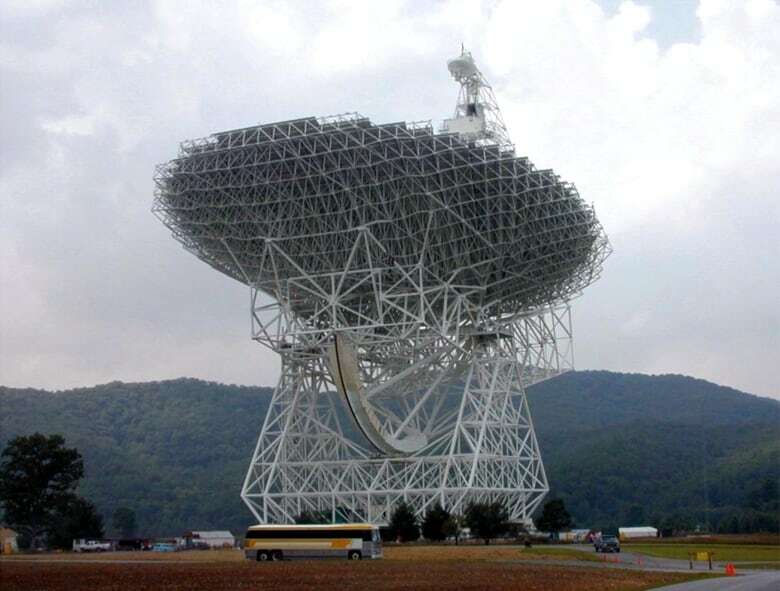 "We decided to use the telescope time at our disposal on the Green Bank telescope to look at this object in search for any radio signals coming from it." The observations began on Wednesday at 3:45 p.m. ET. For six hours, Breakthrough Listen researchers scanned the unusual object across four radio bands. The asteroid was first spotted in October by researchers in Hawaii. They named it 'Oumuamua, which translates to "messenger from afar arriving first." While it is indisputably the first of its kind identified by humans, its origins are still unclear. On Thursday night, Breakthrough Listen reported they had found no evidence of artificial signals coming from 'Oumuamua. They also said the search isn't over yet. What we can learn from 'Oumuamua? Whether it's built by an alien civilization or is interstellar debris, Loeb says it highlights how little we know about planets in different solar systems. "Even if it's a natural process that makes it, how is it made with such an elongated structure?" he asks. 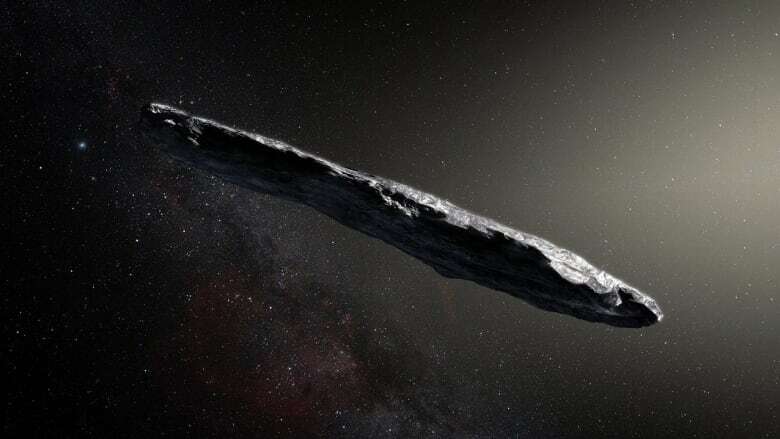 Loeb says 'Oumuamua could have been forged out of molten rock "that spins, and then you end up with a cigar-shaped droplet that solidifies eventually." It's shape is baffling, but it's not the only way 'Oumuamua is different from the average asteroid. There is no tail, for example, which means there is no ice attached to it. "It got to a distance that is five times closer to the Sun than the Earth is, and at those distances ice on the surface of objects usually warms up and turns into gas. That's the origin of the cometary tail," Loeb says. "We don't see that on this object which means it does not have any water or ice on its surface. If it's natural it must be made of pure rock. At least on its outer part." Loeb called Breakthrough Listen's attempt to pick up radio signals a "fishing expedition." "We do not expect to find anything, but it's worth looking at our fishing hooks to see if there is anything there," he says, knowing full well what it would mean for humankind. "'Are we alone?' is the most fundamental question that we have in science and if we find a positive answer to it, it will change our perception about our place in the universe," Loeb says. Avi Loeb at a Breakthrough Listen press conference in New York City. 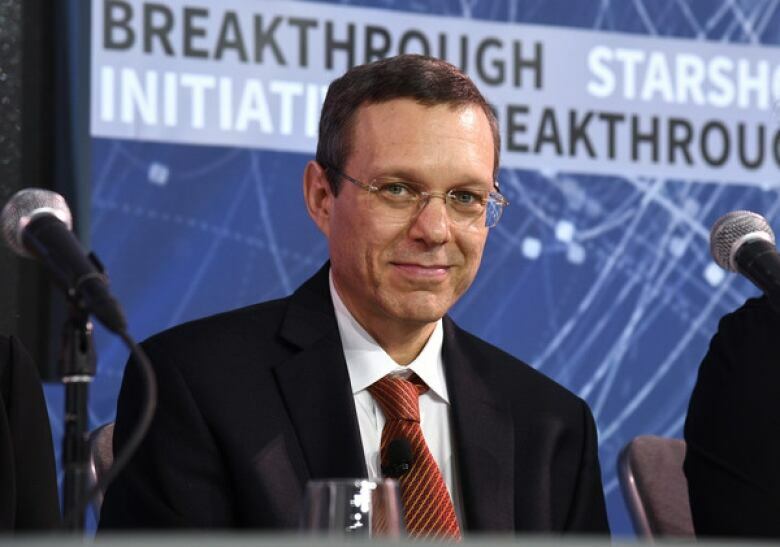 ( Bryan Bedder/Getty Images)Assuming the alien civilization is more advanced, he says we could shortcut a billion years in our evolution and get answers to some of our most puzzling questions. He also says it will open up new fields. The interface between astronomy and physics is called astrophysics and the interface between astronomy and chemistry is called astrochemistry. If there is contact with another civilization we will have more areas of research like astrolinguistics (how to communicate), astropolitics (negotiating for space resources or knowledge), as well as astroeconomics. Of course, there is also the threat of astrowar (Star Wars?!? ), but Loeb has a strategy for that. "One important thing I learned from my mother is that in any conversation, it's more polite to first listen to the other side. So I think that it would be prudent to listen first before broadcasting, because you never know what the other side's intentions are," he says. "I believe we can learn much more than we can lose from the risk of them annihilating us." 'Oumuamua's arrival has captured the imaginations of a lot of people and forced some of our top minds to consider the possibility of intelligent extraterrestrial life. When asked if he believes alien interaction is a matter of when, not if, Loeb answers with a resounding 'yes'. "My general belief is the principle of cosmic modesty, which means that if we find life both in primitive and intelligent forms here on earth, it should exist elsewhere," he says. "I don't think we're special. We know that a quarter of all the stars have a planet like the earth at the right distance from the star to have liquid water on its surface. So planets like the Earth are very common and I just find it very hard to believe that we are unique or rare." He says we have the technology and the will, so if there is life out there we should just look at the sky and try to find evidence for it. For the full conversation with Avi Loeb, download our podcast or click the 'Listen' button at the top of this page.